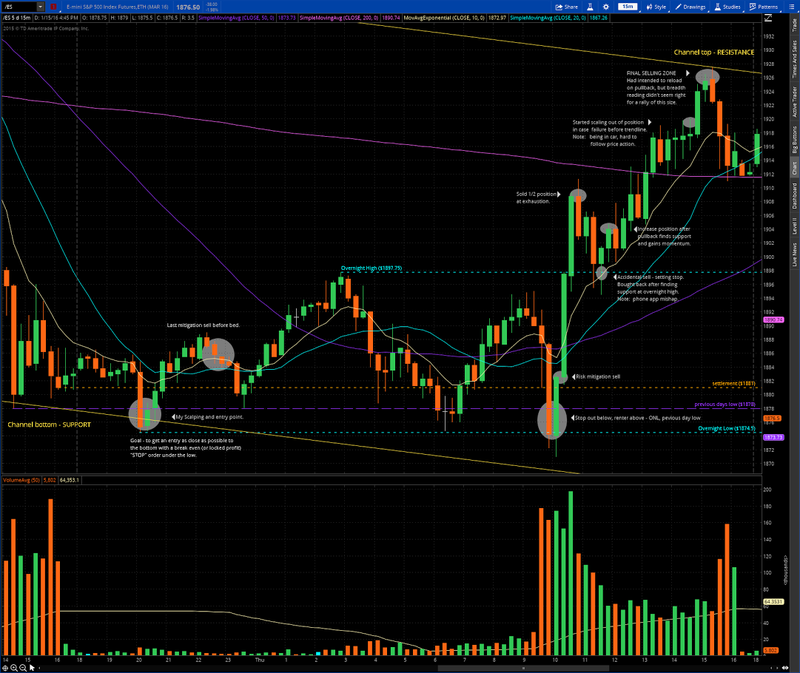 I really do try my best to create a realistic environment in regards to how trading in the markets actually is. Whether that be via The Stock Trading Reality Podcast or offering an entire video series that show’s me trade live: win, lose, or draw (and in some cases, making stupid errors), my goal is to give an honest display of what trading is and how much work it actually takes. The trick is realizing that you need to find a tool, and learn how to use that tool within your own psychological make-up. We are all different in regards to personality and risk tolerance (some people like sky-diving and roller coasters, other people would scream “No thanks!”). By doing this, you are learning how to fish on your own and empowering yourself to take total control of your trading and future. I get it. Everything I just talked about is all theoretical and “just talk”. Fair enough. Let’s move into the realm of “actually happened”. This case study will mean more to the active members of my private trading community as many of us interact with “MR” on a daily basis. But hey, if this case study can offer some inspiration and motivation to you as a reader, that’s great too! 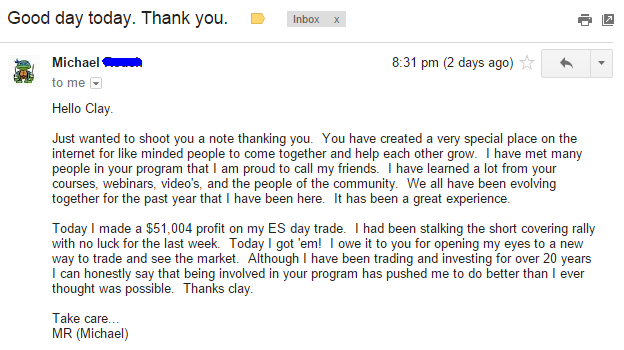 I certainly appreciated the kind words he had for the trading group and my training programs, but what really stuck out was the $51,004 profit. I won’t lie, I definitely had to do a double take and make sure I read it properly. I will say this, MR is a great guy who I’ve always trusted and someone who has always posted about their losing trades in the chat room; however, if I’m being 110% honest, there was a little bit where I thought it was a bit “large” for a single day. I don’t want to say I didn’t trust him, because I do, but I just wanted to double check, especially with plans of doing a blog write-up on it. Now, before anyone sits here and throws out the moron reasoning of “that’s not impressive! Look at the size of his account!” While it is true he is working with a good size account, let’s give the guy some credit for building himself such a good size account, ok? This may sound bizarre, but the most revealing part of all this is the losing trades he had. Don’t get me wrong, myself and many others were totally inspired and motivated by seeing such a large gain in a single day; however, I’m all about trader habits. The big profit was great, but the sign that tells me MR has a continued bright future is how he has learned to keep the losing trades under control. Notice, I did not say “never lose ever again” as that is impossible. As traders, we all lose… it’s bound to happen, but it’s how we deal with the losing trades that determines our success in the long run. This just goes to show the type of member MR is, but he went way above and beyond with the below. I did not expect this out of him in the least, but as you see below (click on image to enlarge), he was kind enough to walk through the trading he did. One note on the trade. MR is using the futures market as his trading vehicle. * * WARNING * * Now before you go and learn how the futures market works, please understand that MR is still relying on CHARTS. Picture it like this: MR is fishing in the “futures pond”; however, the fishing pole he is using (the tool to actually catch the fish) is technical analysis. You might be thinking, “wow, there was a lot of thought, planning, and execution that went into the trade!” Exactly! While I won’t sit here and call trading rocket science, it definitely is not as easy as getting “hot stock alerts” emailed to you or texted to your phone. I use to be pretty hesitant about sales pitches, but whatever, I’m confident in what I have to offer, and a guy who just made $51,000 in a single day had some very kind words as you saw above in the “thank you” email he sent me. MR is a member of ClayTrader University, so if you’re interested in being shown how to use technical analysis for trading like what he is using, you can do so HERE. If you are interested in my training, but don’t think you can afford anything right now, then click here for 6 month, zero interest financing via PayPal. If you are motivated enough to save up the money over the time frame of 6 months, then this offer is definitely for you. 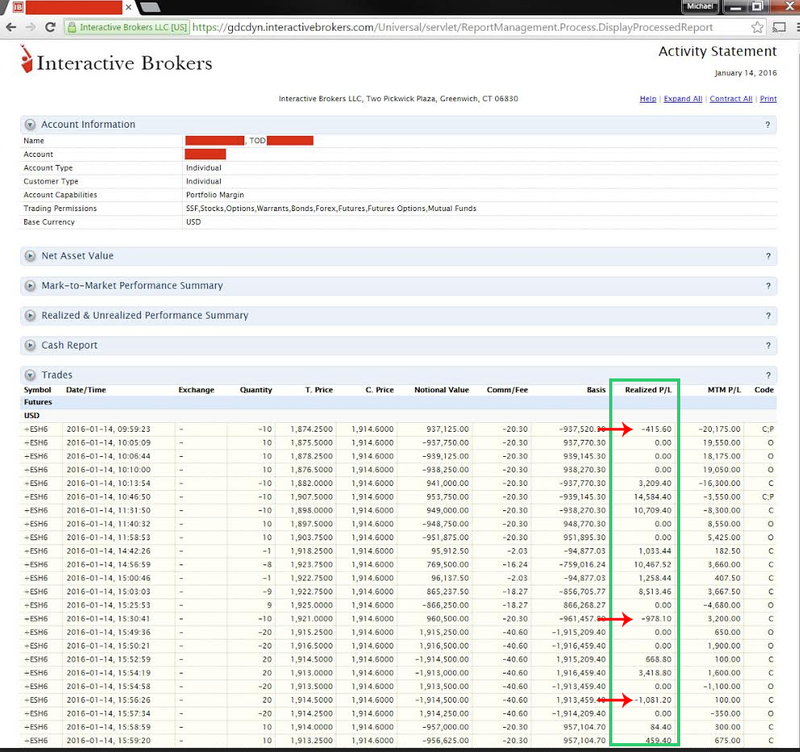 You can get a behind the scenes tour of ClayTrader University HERE. I will walk you through all the various aspects of the program and show you all the content you gain access to. If this is outside your investment range for education, you can buy individual components of the program. Not sure where to start in regards to the courses? I will walk you through the proper viewing order in this quick video. 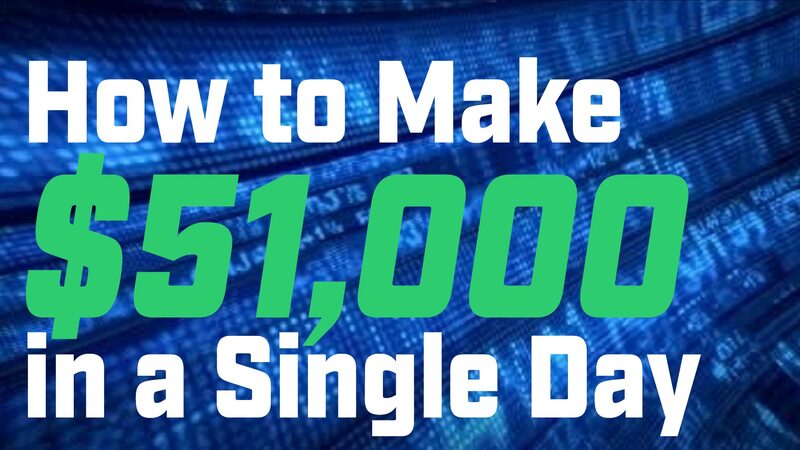 At the end of the day, even if you don’t spend a dime on my site, I genuinely hope this case study has inspired and motivated you to get realistic about the markets and understand that big gains are possible; however, big work is required to reach this level!